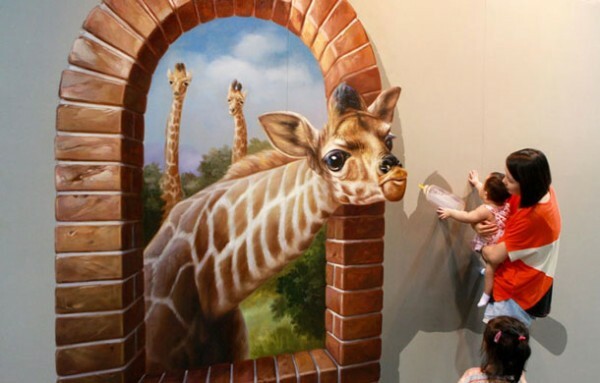 The walls quite literally come alive at the 2012 Magic Art special exhibition in Hangzhou, China. The exhibition features a series of 3D paintings created by South Korean artists. The deceptive painting below shows a giraffe leaning through an opening in the wall and reaching for a bottle (also painted on the wall). Hi Chris… I’m sorry, but I do not know the answer to that question. You’d have to track down the South Korean artists who designed it.